Armaan Malik's Version Of Theher Ja Video Will Surely Make You Miss Your Friends! 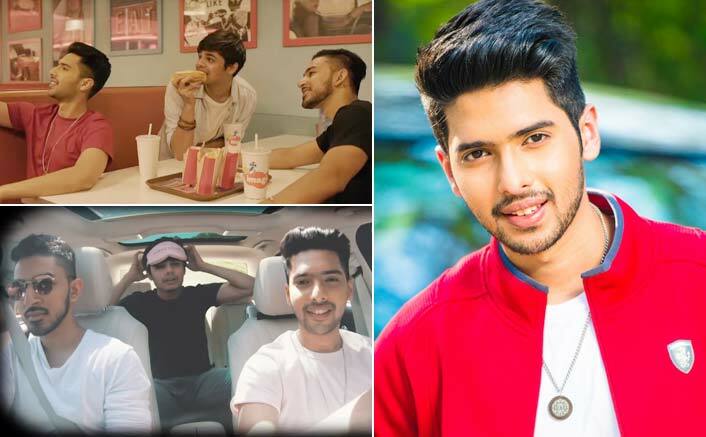 Home » Videos » Armaan Malik’s Version Of Theher Ja Video Will Surely Make You Miss Your Friends! Armaan Malik’s Version Of Theher Ja Video Will Surely Make You Miss Your Friends! It is an exciting video of friends who share a special bond and how it remains the same with the passage of time. Armaan Malik, the heartthrob of the music industry, is back with his version of the video for Theher Ja song from Varun Dhawan starrer film October. The song had already struck a chord with the audience and had topped charts in 2018. In the video for the song Armaan and his friends are on a road trip. Filmed inside the car and the amusement park the video brings back a feeling of nostalgia. Meanwhile, Armaan who recently posted a picture with his friends had a beautiful message about memories and childhood friendship. Beautifully sung by Armaan Theher Ja sounds and feels true, and innately genuine, the video beautifully captures the bond between friends, feel of the video will tug at your heartstrings and you might end up watching it on a loop, the visual brings forth the feeling of pure friendship and cherishing those bonds.